Texas de Brazil is a Brazilian steakhouse or “churrascaria” that offers a parade of grilled meats with a great selection of salad using only the freshest seasonal ingredients. It is based on traditional rodizio style of feasting and dining which originated from Porto Alegre, Brazil. This family-owned restaurant decided to settle in the lone star state of Texas to introduce the concept to the United States and spread the love of meat and a unique gastronomical experience to all American families. Below are the latest Texas de Brazil menu prices. Established in 1998 in Addison, Texas de Brazil mixed the delicious and quality steak of Brazil with the gratuitous hospitality of Texan people, introducing a one-of-a-kind dining style. With numerous awards received such as “A1 Service” from Zagat Survey in 2001, “Award of Excellence” and “America’s Top Restaurants” all in 2005, and “Wine Spectator Award of Excellence & Distinction” in 2006, Texas de Brazil was able to branch out in 17 states in the country and six International locations, including South Korea and UAE. Besides being a great place to have steak and wine, Texas de Brazil’s prices are fixed based on their menu, which includes various meats, salads, and side dishes to cater to every type of palate and taste. Customers may also fall in love with the beautiful artwork decorating the restaurant and while these are not for sale, clients may buy replicas of the said art. Although the dress code is business casual, customers will not be intimidated by the ambiance and may even feel at home due to the impeccable service. For more information about Texas de Brazil, visit their official website. Does Texas de Brazil accept reservations? Texas de Brazil accepts reservations and strongly recommends guests make reservations. 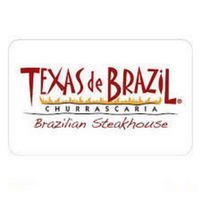 Reservations can be called in our guests can go online to the Texas de Brazil website.